The Versa 50 makes it possible to cook at your camp site, on a boat, the beach, or the lakeshore. 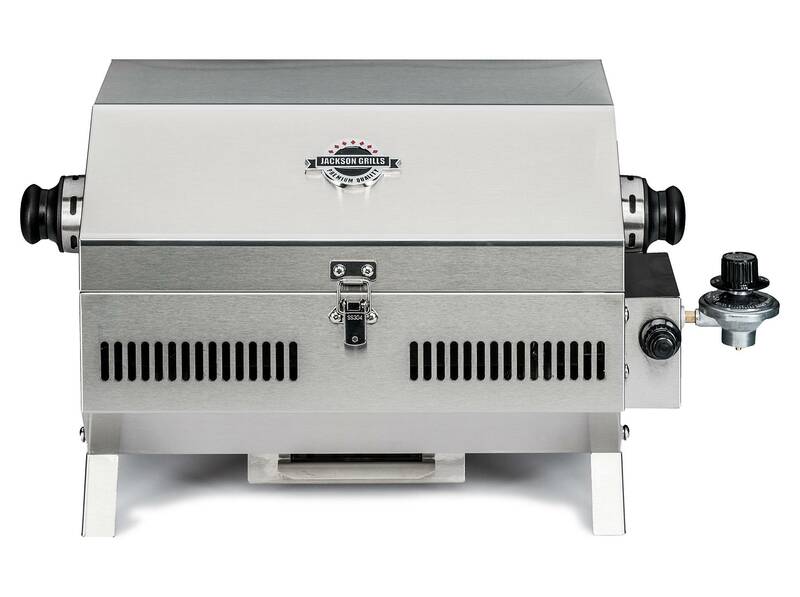 It combines a high-performance stainless steel cook surface with the flexibility to grill wherever you go. The smaller size version of the Versa 100, the Versa 50 is packed with many of Jackson Grills’ high quality features and perfect for limited space applications.